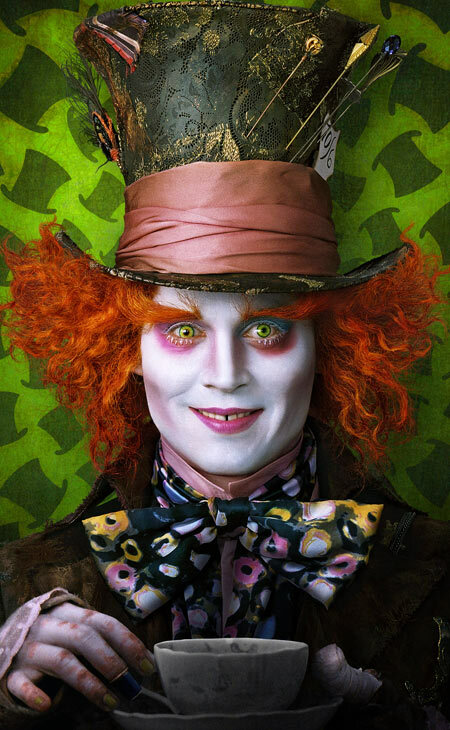 As a Tim Burton's fan, I can't wait to go to the cinema to watch the last colorful but dark film "Alice in Wonderland". "Burton's version will be a sort-of sequel in which a 17-year-old Alice returns to Wonderland, allowing for a darker, more adult-orientated vision that takes in characters and storylines from both Alice in Wonderland and Through the Looking Glass. Frankly, the sight of seven-time Burton collaborator Johnny Depp as the Mad Hatter, resembling a dayglo-version of Adam Ant in his heyday, with a bit of Ronald McDonald thrown in for good measure, looks enough to have most small children running screaming from the room in terror". I don´t know why now you found a lot of people saying that they are bored from Tim Burton´s style, that Johnny Deep is always the same. But I still really love Burton´s films, is refreashing in a world plenty of "Transformers", "Spiderman", "Iron Man" and all this stuff, puaj.